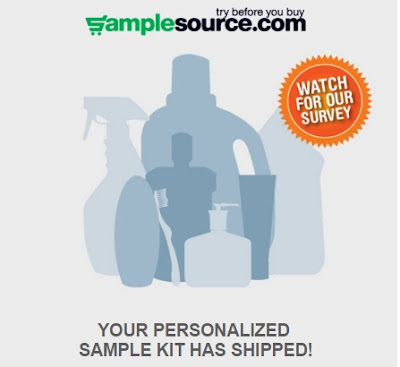 My Samplesource Sample Kit shipped today! I just got an email telling me that it has been shipped and should arrive in 5-10 business day. Once you get your sampler pack, be sure to try out the samples soon and complete the important email survey in the coming weeks. I know some of you already got your sampler packs in the mail, lucky ducks! Did you get yours already? Please share on our Facebook Page. Please note, sampler packs are not available anymore for the spring, click here to see the original post of when they went live and what samples were included. Click here to track your sampler kit.